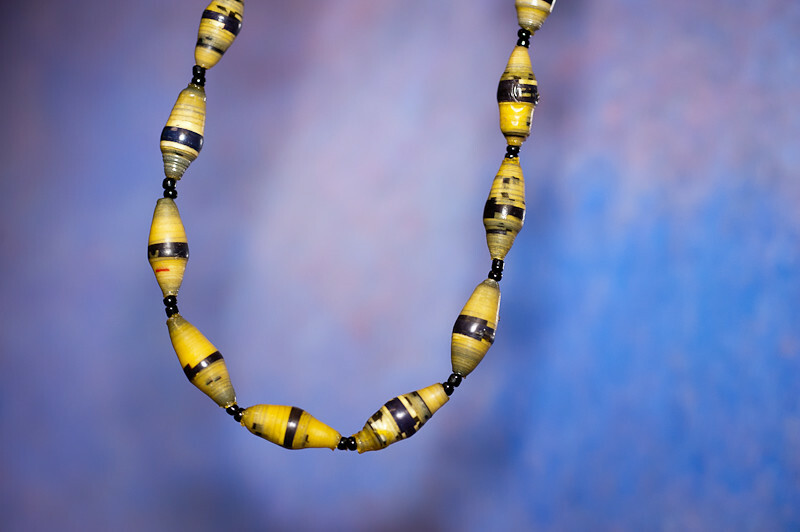 Today for this week’s “Jewelry” theme I photographed a necklace made by Ugandan women from scraps of paper. The women sell these necklaces to support themselves and their families. When I first saw these necklaces I thought they were some type of shell I would have never guessed they were made of paper. Jamie had a post, “Not Your Ordinary Necklace,” with more information about how we found out about these unique necklaces.